We really enjoyed writing our favourite things post last week (the one with the glittery milkshake) so we thought we’d write another one! 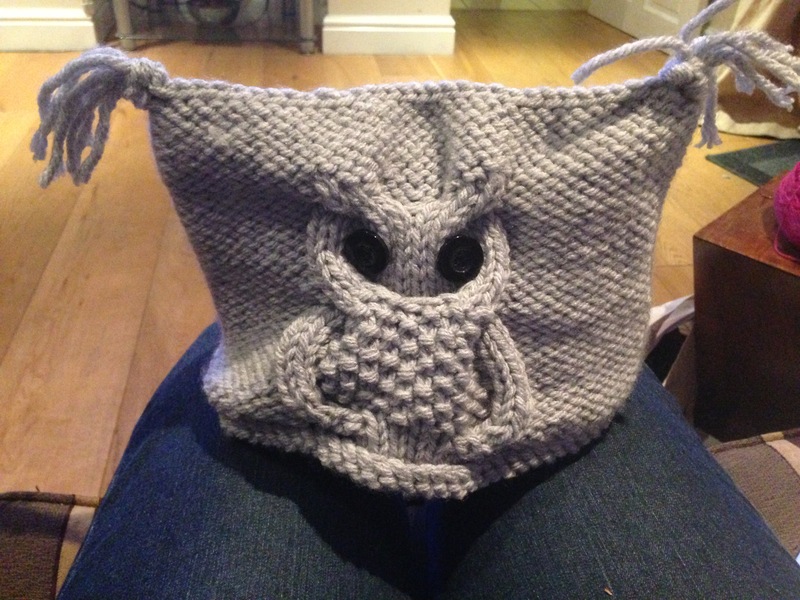 Our favourite knit this week is Sheila’s Chouette hat – the owl is so cute! Hannah has finished a Schmeichler shawl this week and has already cast on another one in pink and turquoise. A few socks are nearer completion at Cable Girls HQ and Kate’s Low Tide cardie is almost done. We’re starting to think about autumn knits and maybe even what we’ll be knitting for Christmas presents (sssh!). What are you planning for your autumn/winter knits and stash this year? Knit Picks have got a knitting needle sale on! The Yarn Harlot wrote about buying a year’s worth of yarn in one go – sounds like our kind of challenge! And our favourite pin this week was a list of emoticons for knitters – we’d use them all the time! If you want to pop over and see our Pinterest boards they are here.